Dr. Prasad has some of the most qualified and experienced staff. Each of our staff members regularly attends continuing education seminars to keep their training and skills as up-to-date and as exceptional as our patients and parents have come to expect. Your health and well-being are our greatest concerns. Each of our team member's goal is to care for you and your family's orthodontic needs and to make your time in our office a positive experience. From the first call to the final phase of treatment our team attitude is that “you are special”. We love the relationships that we form with our patients and enjoy taking an interest in you as an individual. Our patients are “one of a kind” with varied interests and concern; whether it's computers, skateboarding, or music, as a team we are interested in what interests you. Carmen has been with Dr Prasad since 2007. She moved from Tomball, TX and now lives in Frisco with her husband and two kids since 2004.Her children attend Wakeland High School and Griffin Middle School. 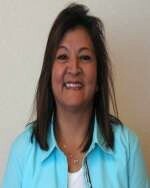 Carmen enjoys volunteering for the WHS band as well as cheering on her youngest son at his hockey games. Carmen has over 15 years experience working as an Administrative Assistant in different fields ranging from Medical, Petroleum/oil, Food Service and Family Law. Carmen enjoys meeting kids and their wonderful parents and she looks forward to welcoming all new and existing patients to our office. Our dedicated staff looks forward to ensuring that your visit is relaxing and comfortable. If there is anything we can do to assist please do not hesitate to talk to us! !